Bobby Olguin’s Buckhorn Tavern has become somewhat of a legend in these here parts. Bobby’s fame as a burger chef and media personality has spread far and wide. 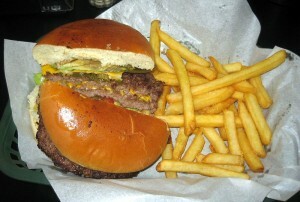 GQ Madazine named one of his creations the #7 cheeseburger in the U.S. 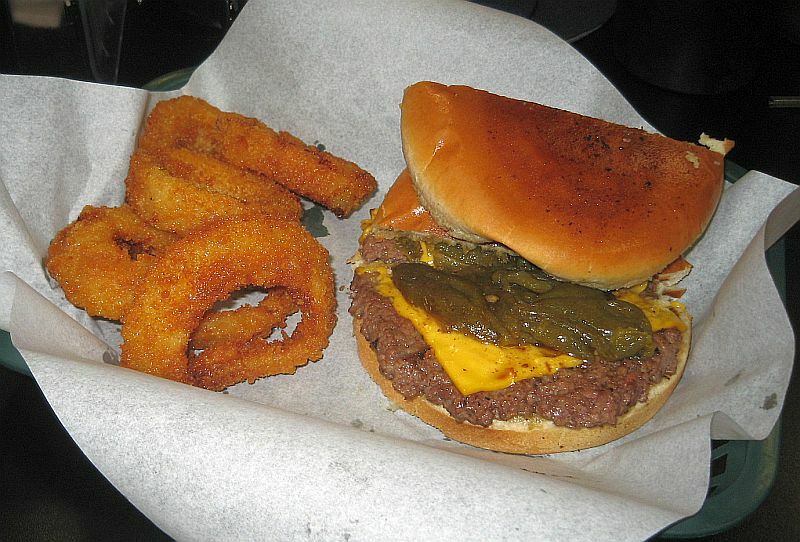 The famous chef and restaurateur Bobby Flay challenged Olguin to a Green Chile Cheeseburger Throwdown (Flay’s creation lost because while very good, it was nowhere close in execution to the GCCB thay we New Mexicaños know and love). It seems that most people who write about GCCBs swoon over Olguins creations. 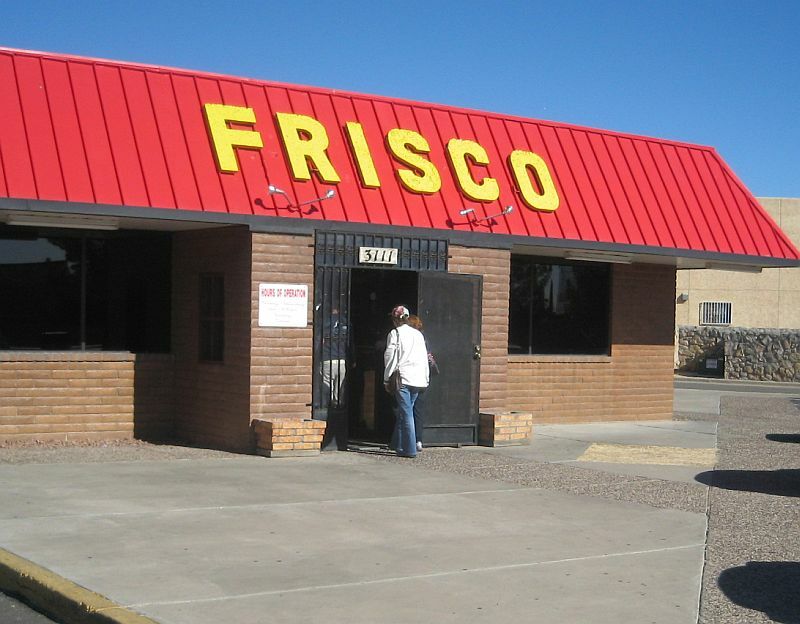 Frisco’s Burger Inn in El Paso’s Eastside comes to us relatively unheralded. No PR. No hype. Just fantastic burgers. We entered the place, waited about ten minutes for a cramped booth, and ordered GCCBs and an order of fries. Forty-five minutes later, our food arrived. My burger came competition style and hers was dragged through the garden. They were beautiful. Could the hype really be true? 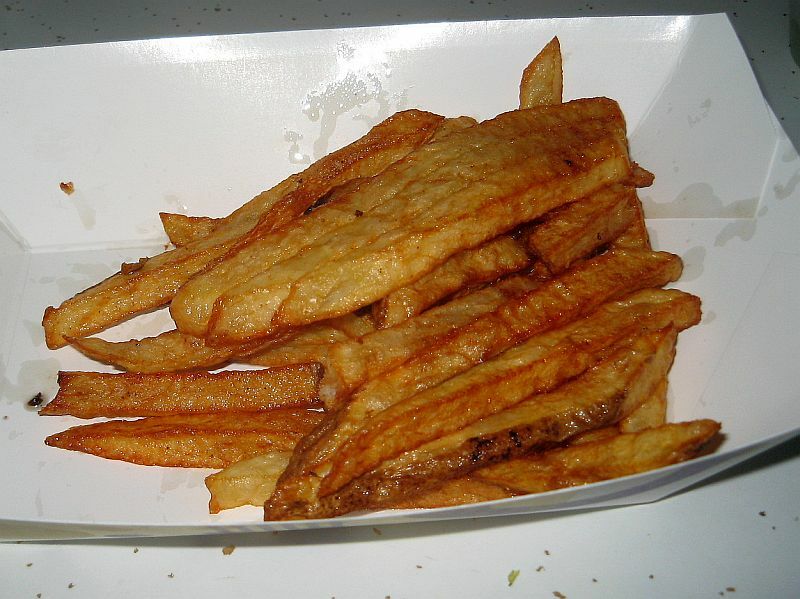 French Fries – Among the worst fries I have ever had anyplace. Oily and shiny, lukewarm, slippery and soggy, and tasteless. The insides had the texture of mashed potatos. Pass on these things. If you’re dead set on having fries, go across the street. The Owl fries are better (as is the GCCB) but still not great. Crestfallen (the king has no clothes? ), we remembered our visit to Frisco’s Burger Inn fron several years back. We decided to take my El Paso family there before we returned to ABQ. When we suggested Frisco to the grandchildren they cheered —it’s among their favorites. The world is full of really crappy burger joints that prey on your alimentary canal. Frisco is not one of them. Frisco has recently been remodeled, and looks line a movie set from Pulp Fiction. Charming. The Frisco Burger Inn burgers are among the very best I have had anyplace in the forty-eight. Tasty. Juicy. Drippingly juicy (a three-napkin burger). You can have it simple (green chile and yellow American), or you can have it dragged through the garden. Your choice. The GCCB is the best I have tasted outside of New Mexico (the Green Chile strips were especially piquant and smoky, and there is a squeeze bottle of chopped Green Chile that is really piquant for us chileheads). And, I almost hate to admit, it is better than many to be had in the Land of Enchantment. The fries were perfect. Not even a hint of oil. Just remember to double-up your cholesterol medicine before you go to bed. Maybe triple if you have the fantastic onion rings. Frisco Burger Inn is a woman-minority owned establishment. The service is always friendly and warm. Usually crowded, and there is an obvious reason why. 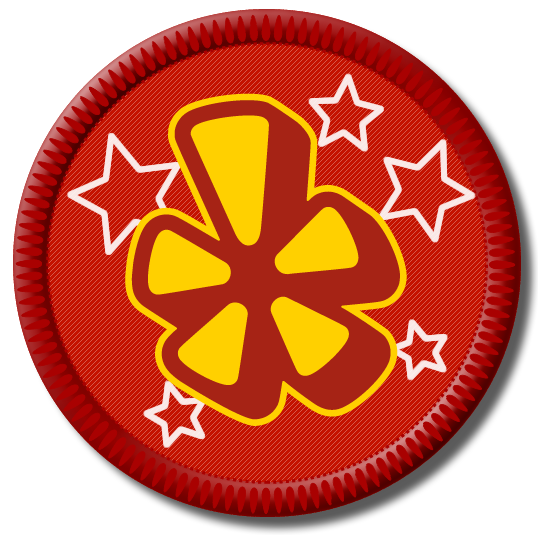 They care, and serve up great food without the hype. Kudos! And that’s the extent of the hype. On January 2, 2012, eight of us descended on Frisco, were seated immediately, and had our food within ten minutes. All of the burgers were excellent.Frisco wins this contest. 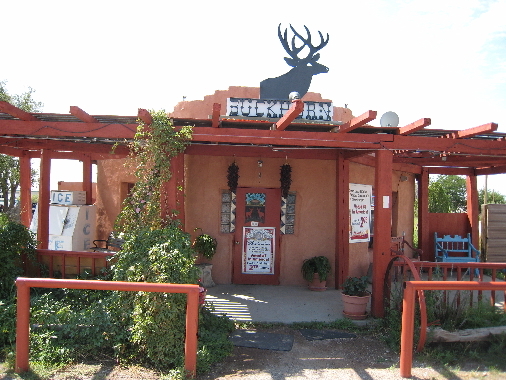 Jane and I both agreed that the Manny’s Buckhorn GCCB does mot deserve a place on my vaunted Green Chile Cheeseburger Hall of Fame. Frisco’s creation is very close, but the competition is fierce. My leader is still Sparky’s in Hatch. Go there, take one bite, and you will hear the celestial voices. “The Buckhorn burger was good – wonder if it would have been different if Bob had done it. Maybe because we just had that really good one at the Outpost this one didn’t have the same impact. 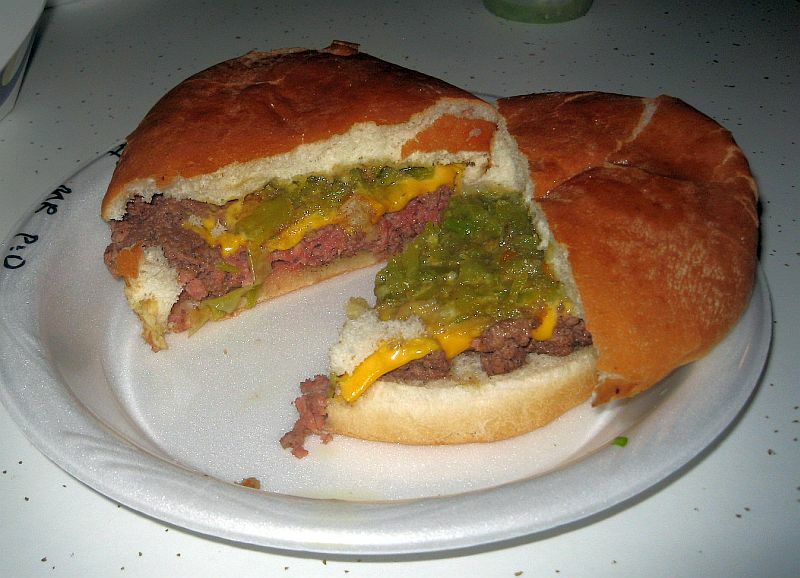 The chiles produced a burn and seemed like maybe a mix of fresh with canned, but not sure, the beef was cooked medium and on the lean side (no pink) and had some juice but not enough, standard american cheese some onions, mustard, etc, ok bun. It was decent. But can you really put a number on these things! This entry was posted in Burgers, El Paso TX, San Antonio NM. Bookmark the permalink.